Denise Meridith is a highly accomplished Senior Executive, Entrepreneur, and Thought Leader with more than 40 years of success in government, technology, sports, and entertainment. Leveraging extensive experience in public relations and land management, she is a valuable asset for midsized environmental, natural resource, or oil and gas companies in various stages of growth, who are seeking expert guidance with expanding into new markets, establishing cultural diversity, or image management. Her broad areas of expertise include government relations, crisis management, public relations, image management, marketing, strategic planning, media relations, community outreach, fundraising, and public speaking. Throughout her executive career, Denise has held leadership positions in a multitude of capacities. 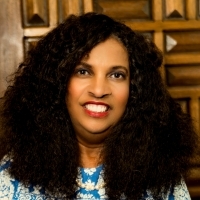 For the last 16 years, she has run her own consulting firm, Denise Meridith Consultants Inc, where she has administered crisis management, public relations, and image fixes for non-profits, corporations, small business, universities, and government agencies. Additionally, she has lobbied on behalf of several companies to get the green light for various projects. Some of Denise’s major development projects include the University of Phoenix Stadium, Symphony Hall, and the renovated Phoenix Convention Center. Previous to her public relations career, Denise was Deputy Director and Arizona State Director for the US Bureau of Land Management for nearly 10 years. As Deputy Director, Denise was the first woman or minority Deputy Director in the country's largest land management agency. She managed 260 million acres, 10,000 employees, 200 offices, and a $1.1B budget. As State Director, she managed 14 million acres of public lands in Arizona and Utah and directed a management team of 15 plus 600 employees in eight offices. Denise has a deep relationship with media and publishing. She wrote a monthly column for the Phoenix Business Journal for 10 years; has written numerous columns for Arizona Republic and other local publications; spent six years as the Phoenix Business and Finance Examiner columnist for the Examiner.com an online newspaper; was the former Editorial Director of Homes & Lifestyle Media magazine; current excellent relations with Arizona TV, radio & print media. As a seasoned community leader, Denise has held seats for multiple non-profits that she has founded, including the Arizona Tourism Alliance and the Phoenix Black Chamber of Commerce. She was also on the Board of Trustees at Cornell University for four years. Denise holds an MPA in Organizational Behavior from the University of California and a BS in Natural Resources/Wildlife Biology from Cornell University. "Studies on everything from Wall Street to Hollywood have shown that organizations that have ethni..
Denise Meridith writes for a variety of publications, including the website of Michael Smerconish .. This article by Denise Meridith was published on Smerconish.com in Jan 2019. Michael Smerconish is..